I can easily understand why Senator McSally would wish to remain evasive about how she will vote on the Castro Resolution, which would nullify Trump’s border emergency declaration, that will soon come before the Senate. She has a Republican primary for her seat on the horizon and taking positions opposed to the will of Trump is dangerous for a Republican. But even she has obliquely hinted on twitter that she may vote for the Castro Resolution if she does not receive assurances that funds won’t be pulled from Arizona military projects to pay for the wall. 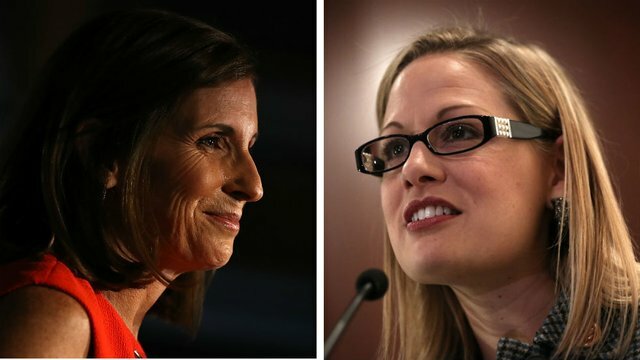 Don’t get me wrong, McSally will still be selling out the Constitution, our military preparedness, and the power of her own institution, if she fails to vote in favor of the Castro Resolution, but at least that betrayal will be politically intelligible. Senator McSally, don’t sell out everything you hold dear for political expediency’s sake; vote yes on the Castro Resolution. That is not leadership. That is not protecting the Constitutional order, which is the bare minimum we should expect from a Democratic Senator, no matter how tough her seat might be to hold years from now. Senator Sinema, you need to do more and say more on this subject. It goes without saying that you must vote yes on the Castro Resolution, but you must also explain to Arizonans why you are doing so, and why it matters. Stop reinforcing the GOP talking point that border security is somehow lacking and that Congress needs to do more to secure the southern border; it is not, and it does not. Such rhetoric only reinforces the GOP’s framing of the issue. I encourage readers to call both of their Senators to demand that they take clear positions on the Castro Resolution in advance of the vote, and to demand they vote yes to terminate Trump’s illegal power-grab. You can call 1-855-971-2329 to be connected to the offices of your elected representatives. If anyone has additional information about the public positions of either Senator on the Castro Resolution, please note it in the comments. Senator Synema may be remarkably mute now, but wait for her to join McSally’s vote in the future. As I have said elsewhere, who senator Synema sleeps with is of MUCH LESS INTEREST than who she votes with. And she pretty consistently votes with the wrong people — at least as far as the Pima County area is concerned. Anyone who still believes that she has decided to actually be a Democrat must not be watching.